Since I was already in the reissue state of mind with yesterday's Built To Spill LP, I figured I would keep that going today with the new reissue of the final Jawbox album. The big difference between yesterday and today is that with Built To Spill, I was writing about an album that I had 20 years of history with and had listened to hundreds of times. Jawbox, on the other hand, is a band I completely missed out on the first time around and have only started picking up their records over the past couple of years. The good news about getting into Jawbox right now is that most of their albums have recently been reissued. This S/T final album of theirs was the last one I needed. I'll still be on the hunt for some 7"s, as I want to complete the collection, but I do have all of their full lengths on vinyl now. I'm not sure what the perception of this record was when it originally had been released. I don't remember it being as big of a deal as some of their prior albums, but again, I couldn't say I was paying very close attention back then. What I can say is that this is a pretty stellar record. The one thing I didn't know back in the 90's and the thing that I still don't think Jawbox gets enough credit for is how catchy some of their songs can be. Even though their music is complex, with lots of interesting shifts and chord progressions, they manage to sneak in some of the catchiest hooks into their choruses. All you need to do is look to songs like "His Only Trade," "Excandescent" or "Mirrorful." While decidedly more complex than your run of the mill poppy punk song, you can argue that they're every bit as catchy the moment the chorus blasts off. It's a remarkable show of songwriting talent and it's really what keeps me coming back to these records. 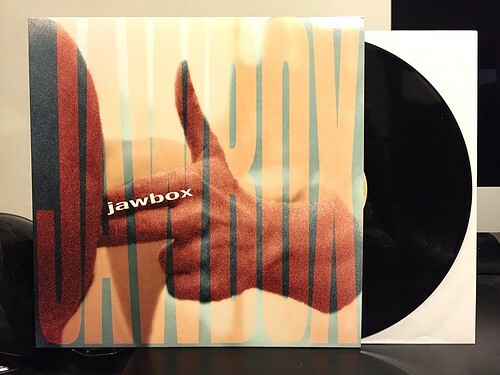 Hopefully you were paying more attention than me and already know how great Jawbox is, but if not, you can grab just about all of their records on the cheap now. Too me, they seem like the sort of albums that should be n everyone's collection.